Project Team: Elin Skaar, Jemima Garcia-Godos, Eric Wiebelhaus-Brahm, Elena Barahona Martinez. Funder: Norwegian Research Council, Latin America Programme. Over the past three decades, over 40 countries have established truth commissions (TCs) to investigate past patterns of gross human rights violations and recommend measures of redress. More than a third of these commissions have been in Latin America. An otherwise large literature on transitional justice (TJ) has paid virtually no attention to TC recommendations and their fate. Focusing on Latin America, the aim of this project is to examine the formulation and implementation processes around TC recommendations. 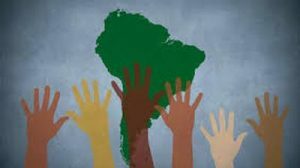 The project will analyse the recommendations of 14 TC reports in 12 Latin American countries since 1982 in order to identify (1) contexts, actors and processes that shape TC recommendations; and (2) conditions which are more/less conducive to implementation of what kind of recommendation. The research has primary relevance to intellectual and policy debates on TJ in Latin America, but carries a broader theoretical potential. By establishing an empirically-based typology of recommendations and related trajectories of implementation, the project provides an analytical basis for cross-regional research on the impact of collective truth-seeking mechanisms. Furthermore, the project has policy implications for the design of recommendations that are credible and likely to be implemented, and for the management of expectations generated by TCs among policymakers, activists, and mass publics. The project will be carried out jointly by an interdisciplinary research team based at the Chr. Michelsen Institute (Bergen), the University of Oslo, and the University of Arkansas at Little Rock (USA) in collaboration with institutional partners in Argentina (CELS), Peru (IDEHPUPC), and Guatemala (FLACSO) to cover three Latin American regions. The project builds on previous work on TJ in Latin America (such as the project Reconceptualising Transitional Justice: The Latin American Experience, 2010-2013) undertaken by the core research team, and is intended to further strengthen competence in this rapidly expanding scholarly and policy field. This entry was posted in Legal empowerment, Transitional justice, Transitional Justice & Legal Empowerment on June 23, 2017 by Sara Ekblom.